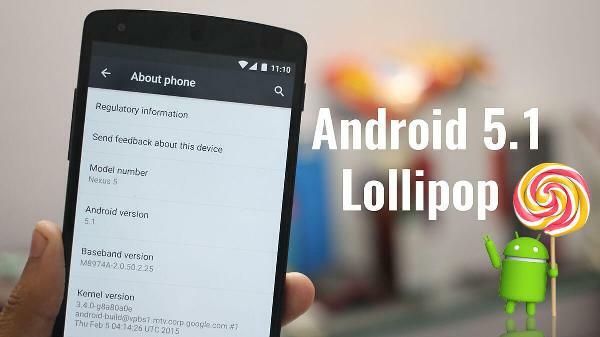 After weeks of waiting, Google has finally released Android 5.1.1 (LMY47D and LMY47V). We previously already reported that the Nexus lineup of devices would be the very first to receive Android 5.1.1 which mainly contained bug fixes and small improvements over Android 5.1. Bellow you can download the OTA .zip file for both the 2012 Nexus 7 and 2013 Nexus 7. With the OTA you aren’t required to factory reset your device before upgrading from Android 5.1 to Android 5.1.1. Bellow you can download OTA .zip file for the Nexus 10 (Wifi). With the OTA you aren’t required to completely reset your device before upgrading to the latest Android 5.1.1 version. We have also included the factory image.